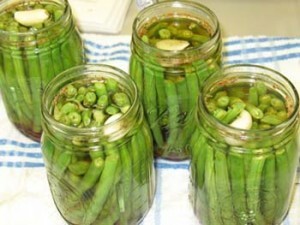 In the fall, our office hosts programs on Home Food Preservation and how to preserve the harvest. Check back for classes that will be scheduled in August and September. Food Preservation Equipment: Our office has food preservation equipment available for check-out. Available equipment includes: pressure canners, food dehydrators, water bath canner and Nesco roasters. There is no cost to use the equipment. Check-out period is one week. Recipe Books: Our office also has recipe books and a DVD with tips on home food preservation that can be checked out. If you would like to reserve equipment or recipe books, contact our office at 715-421-8437 at least 3 days in advance to ensure it is available. Extend the Harvest – Learn tips for extending the flavors of fruits and vegetables harvested from your garden. Taking a few extra steps, and educating yourself on preservation techniques will ensure you are still enjoying the ‘fresh from the garden’ flavors during winter! Making Sense of Food Product Dating – Have you ever noticed all the terms that are used for food product dating? Find out the difference between Sell By, Best if Used By and Use By to ensure that you are serving food that is safe to eat. UW-Extension Safe Food Preserving – This website is sponsored by the University of Wisconsin – Extension and the University of Wisconsin – Madison and is a trusted source of current research-based recommendation for home food preservation. National Center for Home Food Preservation – The National Center for Home Food Preservation is a source for current research-based recommendations for most methods of home food preservation. Fight Bac – Food Safety Education information, website is a combined effort of the CDC, USDA and FDA. Ball® Food Preservation – Source of information on home food preservation methods and equipment. Refrigerator and Freezer Storage Chart – Recommended time limits for food storage in the refrigerator and freezer. Pantry Storage Chart – Recommended storage limits for food in the pantry.